U.K. election: The end of austerity? The Brits are fed up with belt-tightening. While no party secured an overall majority in the U.K. general election, voters signaled they are tired of budget cuts brought on by seven years of austerity. Anger over cuts to services helped propel the Labour Party, led by Jeremy Corbyn, to its highest share of the vote since Tony Blair's landslide victory in 2001. Corbyn, who is Britain's answer to Bernie Sanders, had promised higher taxes and more spending. Voters rewarded the Labour Party with 40% of the vote -- landing it just 2.4 percentage points behind Prime Minister Theresa May and her Conservatives. It was a stunning turnaround. Two months ago, the Labour Party had trailed its rival by 20 points in the opinion polls. Analysts said that Corbyn was able to tap popular frustration over budget cuts imposed by the Conservatives. "The public are beginning really to notice the effect of austerity on key public services like health and education," said Tim Bale, professor of politics at Queen Mary University of London. "In the first few years of austerity, it was possible to cut out some of the fat from the state," he added. "But for the last few years, it's been cutting to the bone." Corbyn, who was once written off by political pundits, said the vote proved that "people have have had quite enough of austerity politics." The U.K. had already endured years of painful austerity. The Conservative government pushed for hefty cuts to welfare programs and froze public sector wages in order to slash the budget deficit in the years after the financial crisis. Government spending slumped from 45% of the country's GDP in 2010 to just over 39% this year. Critics said the cuts had a major effect on key public services such as education and health care. The British Red Cross said earlier this year that the country's health system was facing a "humanitarian crisis" because of the cuts and high demand for services. And the Institute of Fiscal Studies warned that the number of children living in poverty in the U.K. will spike to around 30% over the next five years because of government welfare cuts. 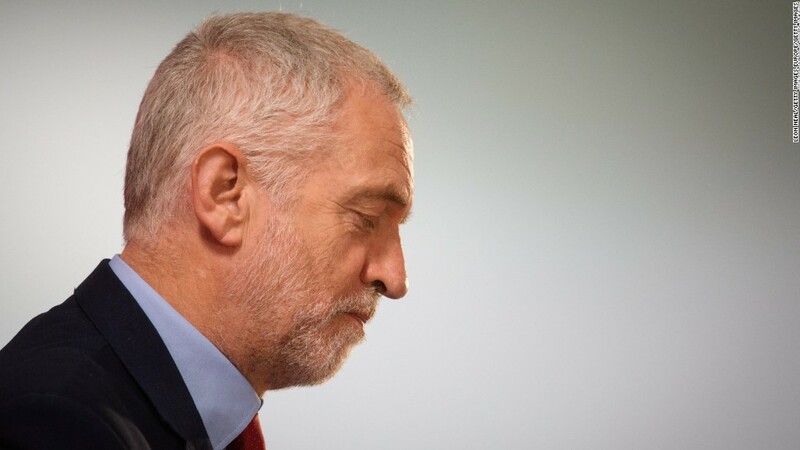 "Corbyn offered hope to people," said Ayesha Hazarika, a political commentator and former Labour Party adviser. "People are sick of seven years of austerity, they wanted to give him a chance." All over the world, people are rising up against austerity and massive levels of income and wealth inequality. Analysts said that Corbyn was also able to mobilize younger voters, many of whom are saddled with hefty student loans. "We have seen redistribution of wealth towards the older generations -- rising cost of education, rising housing costs, there is a growing generational conflict," said Simon Hix, a professor of political science at the London School of Economics. The U.K. National Students Union said that 750,000 people who were too young to vote in last year's EU referendum were able to participate on Thursday. If Theresa May is able to form a new government, she may take the anti-austerity warning to heart. Capital Economics said that current budget projections give the government some wiggle room to pull back on budget cuts. But there could be more economic pain ahead. Data published on Thursday showed Britain's economy was the slowest growing across the entire European Union. The pound has slumped 15% against the dollar since the day of the EU referendum last June. That drop is translating to higher prices for imported goods, such as food and electronics. Britain has also been struggling with low wage growth. Recently wages started to fall once inflation is taken into account. 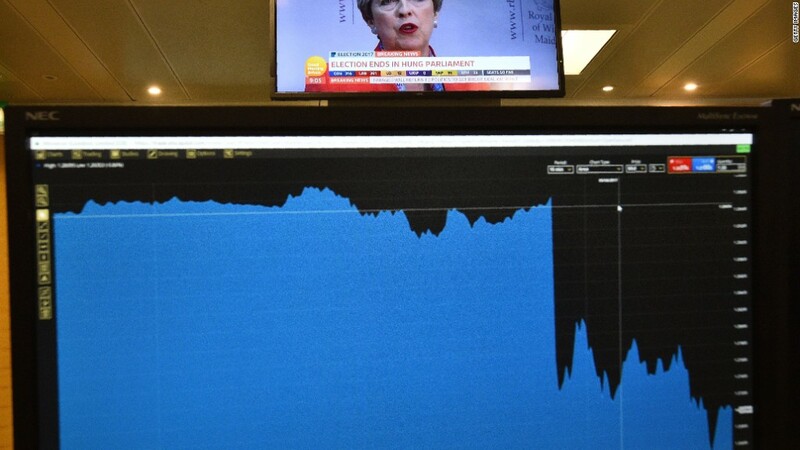 While most economists expect the dip in living standards to be temporary and the economy to rebound once the terms of the country's future relationship with Europe are clear, ordinary Britons are likely to feel more pain in the months to come, despite the backlash against austerity.